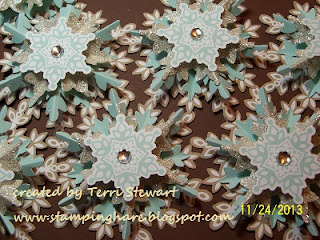 I'm throwing a snowflake party! 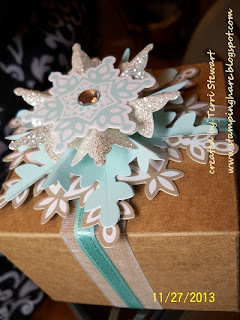 My customers love Stampin Up's Festive Flurry ornament kit...and what's not to love? 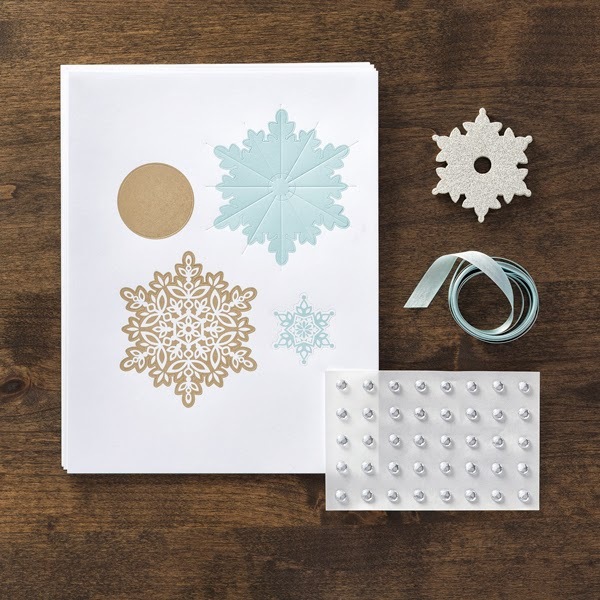 All the pieces in the kit are printed and scored and it comes with enough supplies (except hot glue) to make 10 beautiful sparkly ornaments, all this for just $14.95! 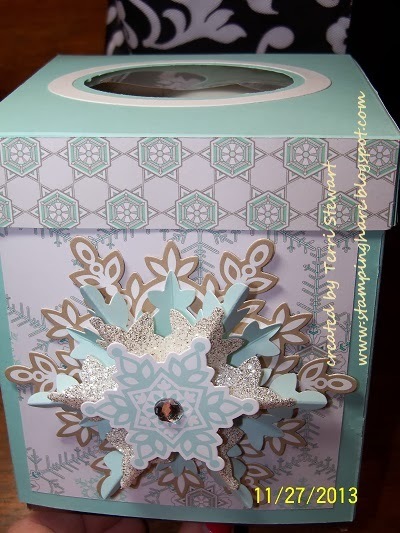 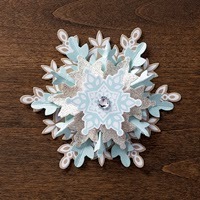 This kit is the easy button for making lovely snowflakes! 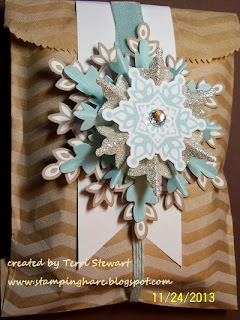 Plus, I made a garland for my cubicle that had my cube-mates oohing and awing (photo coming soon).